Tomorrow (Saturday), we will commemorate the 20th anniversary of the assassination of Yitzhak Rabin. Bill Clinton will be one of the main speakers at the event. 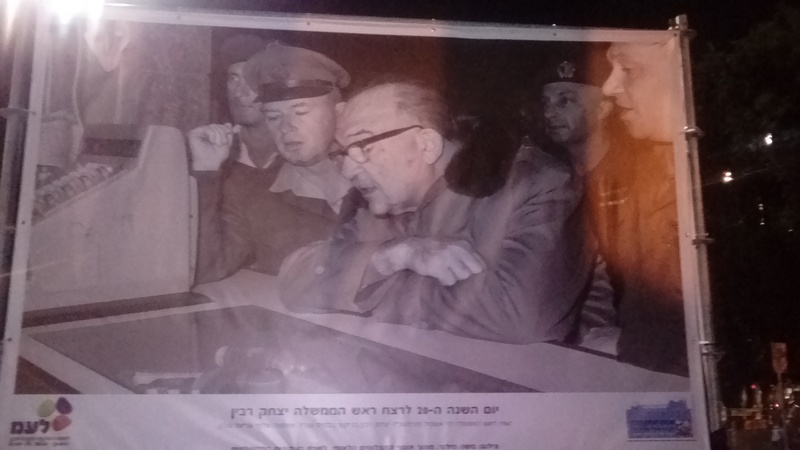 In honor of this event, the Tel Aviv municipality has placed numerous famous photos of the late Israeli prime minister in the square where he was assassinated (Yitzhak Rabin square). The older I get, the more I realize what a tragedy his assassination was, and the more it hurts. 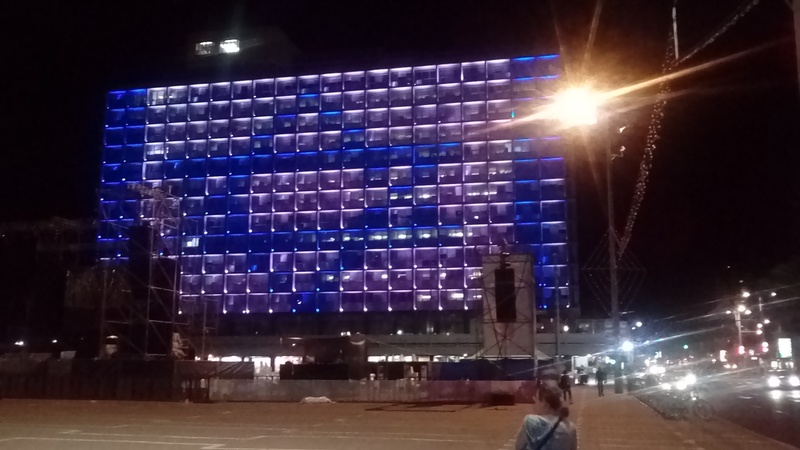 The Tel Aviv municipality tonight, adorned in lights showing our national flag. 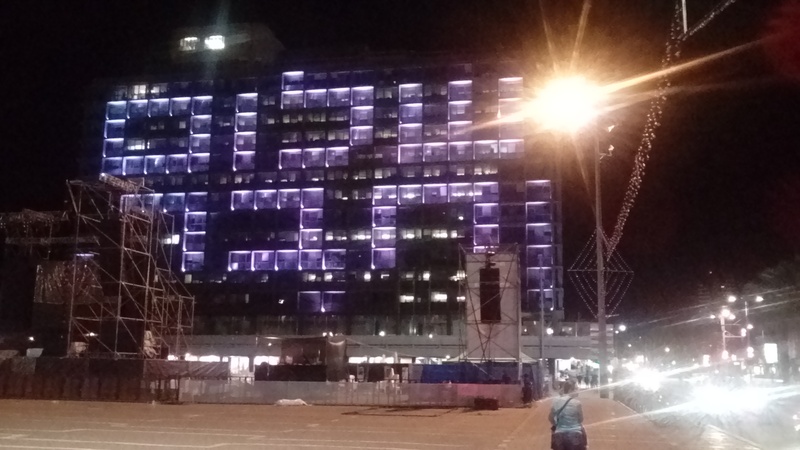 The words “Shalom Khaver” (goodbye friend) flashed across Tel Aviv municipality. These were Bill Clinton’s words at Rabin’s funeral ceremony. 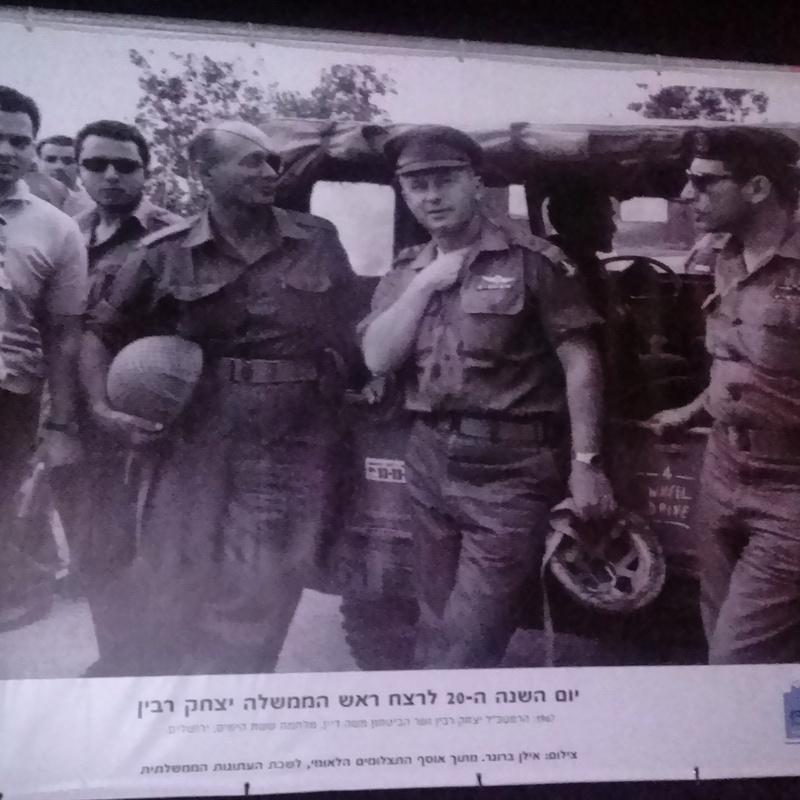 Poster of IDF Chief of Staff General Yitzhak Rabin and Defense Minister Moshe Dayan after the Six Days war. IDF Chief of Staff Yitzhak Rabin, visiting an IDF base with Prime Minister Levi Eshkol. Can you see Ariel Sharon standing behind them? 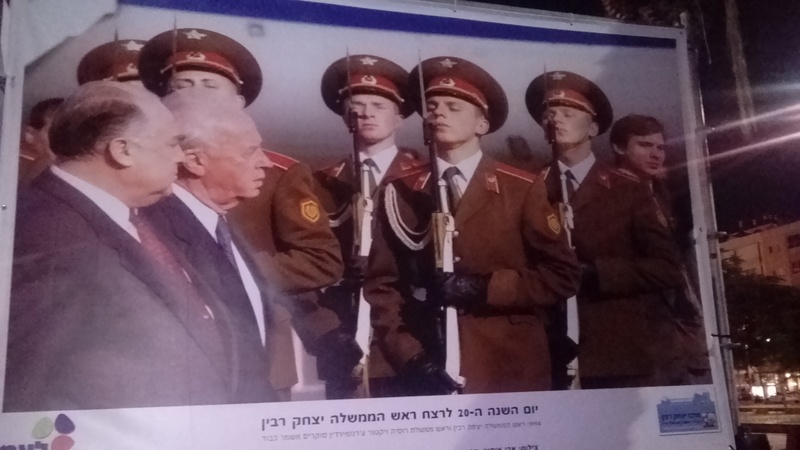 Prime Minister Yitzhak Rabin visiting the USSR in the 90s.